If you're a constant reader of mine, you may heard about Neesya, which I have blogged in the earlier post. Neesya, a Greek word to address Butterfly. It symbolizes the transformation between each individual that is awaited to be revealed. Neesya believes everyone can afford beautiful healthy skin from Neesya, with the offer of products that consist of innovative science technology, premium quality and safe. Recently, I have received a set of products from Neesya and I wish to share with all of you. 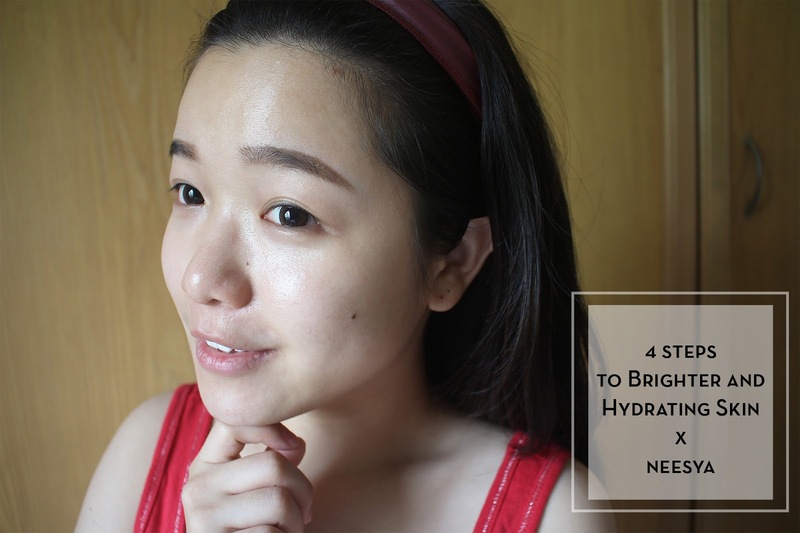 With only 4 steps to achieve glowy and hydrated skin! Errr... not to talk about the packaging. I am kind of a perfectionist LOL and I was actually quite disappointing with the products I received from the mailman as the box was a bit torn, even though the products were still complete. This brightening hydrating set comes along with 4 complete set of products, which are Brightening Gel Cleanser, Brightening Toner, Illuminating Essence and Brightening Day Cream SPF 20++. Well, lets get started and head on to the products one by one! 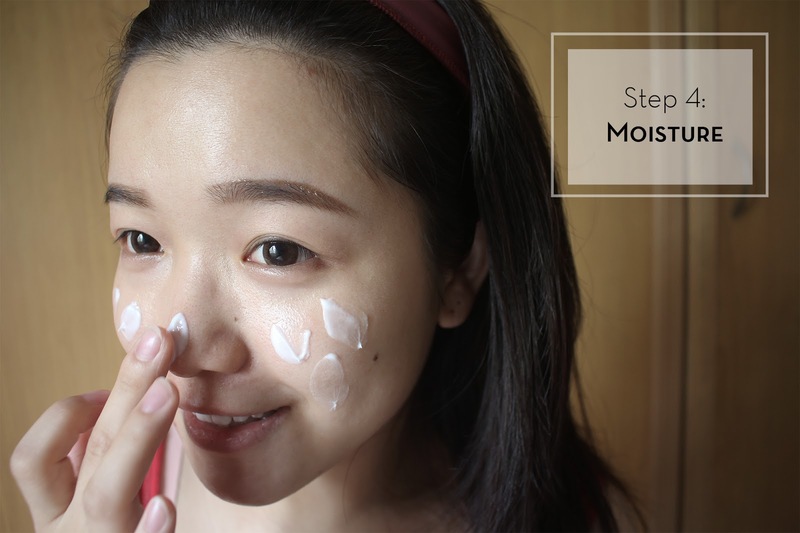 I have really dry skin, hence I always prevent myself from using any foam formula cleanser. I feel that foam cleanser used to make my skin dries up even more. Gel and milk cleanser works just fine for me. Neesya Gel Cleanser contains aloe vera extract and Vitamin B that helps hydrate, soften and soothe the skin.The texture of Neesya Gel Cleanser is in clear gel foam, it doesn't form any foam even after lathering with water. 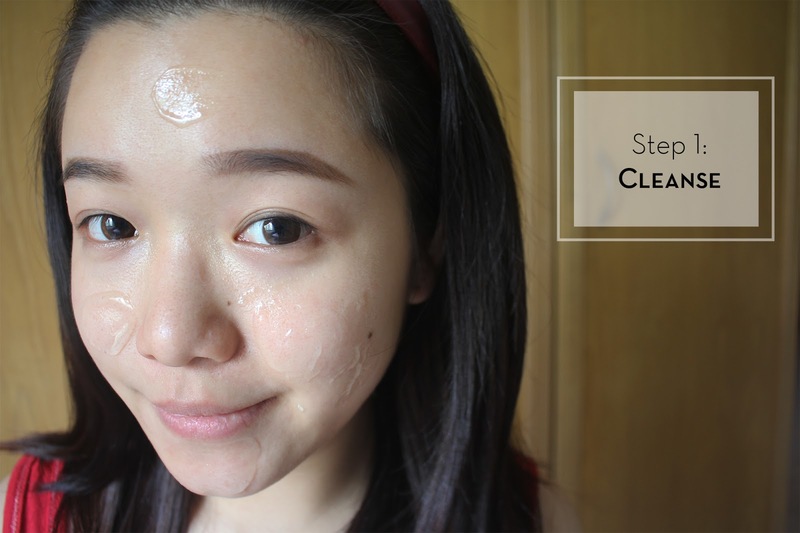 The texture of the gel isn't too thick, and it can be easily spread throughout the face. After washing off the gel, there wasn't any uncomfortable nor 'slippery' sort of feeling on my skin. It left my skin with a smooth and silky finish. 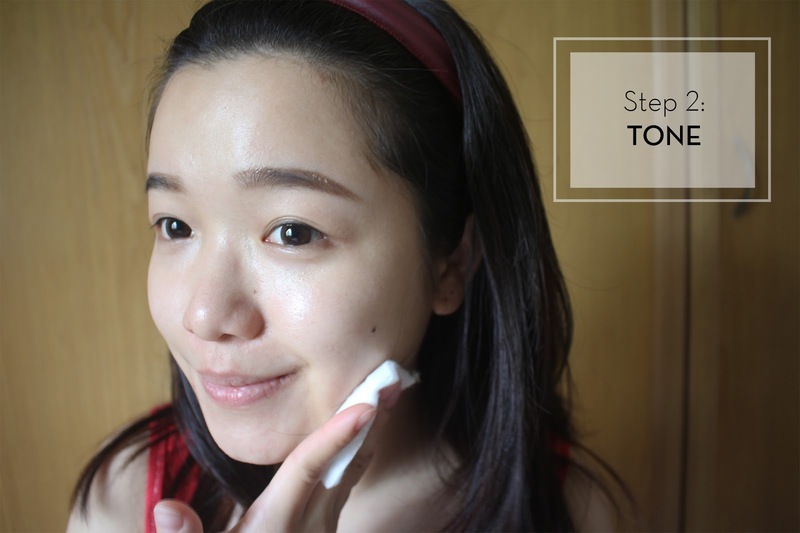 Apply the toner with a cotton pad. It's a must to use a toner. it's essential in minimizing the pores, balance the skin pH level, maintain the moisture level within skin while soften and prep the skin from further skin care regime. Neesya toner comes in a lightweight and liquid texture, with a refreshing floral scent. It didn't cause my skin to be greasy nor sticky after the application. I felt my pores were less obvious after a week of usage. Pour an adequate amount of essence on palm and spread throughout the face. Essence is important to enhance the skin hydration after the usage of toner. Neesya essence contains natural fruit extract that helps restoring skin cellular fluidity and enhance the skin complexion. Neesya essence comes in a thicker gel texture with the similar scent of the toner. yet it is much lightweight and less concentrated compare to others essence. Neesya essence is formulated with the finest active ingredients hence it penetrates rapidly into the skin layer. I love how this essence worked on my skin as I felt the instant hydration and I always used it as a base before application of makeup. As a day time moisturizer, Neesya Day Cream can be used as a skin moisturizer and sun screen! Besides, it helps to brighten the dark spots on skin while soothe and hydrate the skin. Neesya Day Cream comes in a white creamy texture and slight watery. 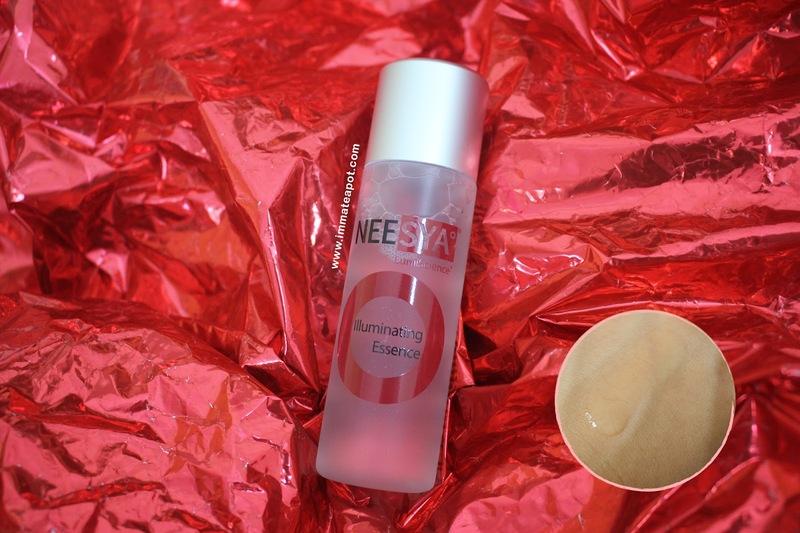 I really love the formula of Neesya Day Cream with both moisture and UV protection because sometimes I can't even remember to apply sun block before going to university and the day cream is just perfect to help me out hehe! Even though it is creamy, yet it absorbs into my skin layer very fast and didn't leaves my skin with oily appearance even after hours! I guess all of you can see the significant result! 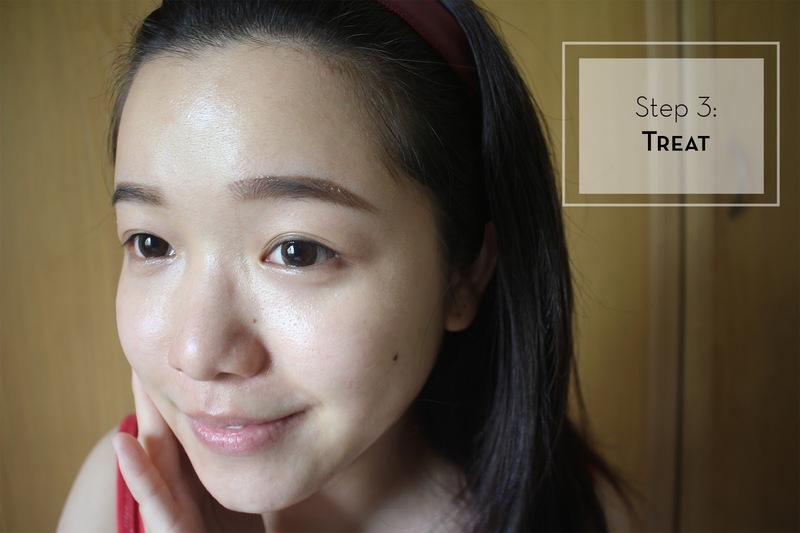 My skin has become more translucent, hydrated and brighter in complexion after a week of application! Guess what? 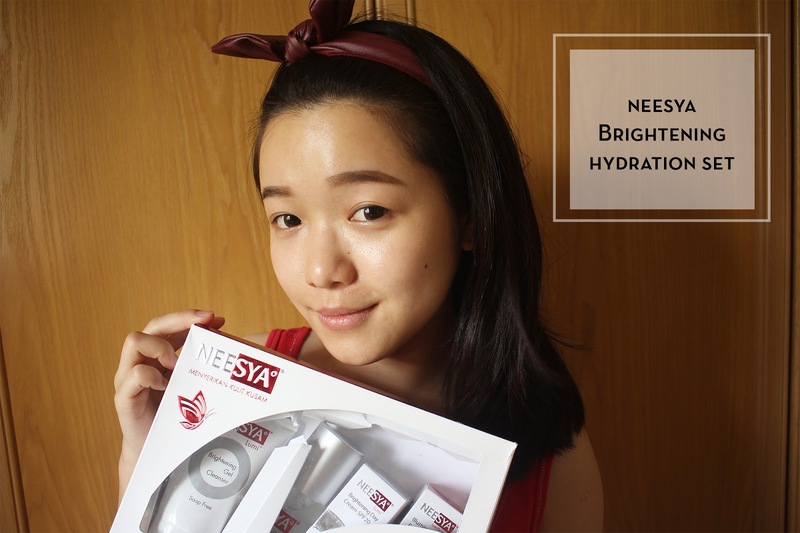 Neesya Brightening Hydration Set is only selling at RM242 RM169. OR even visiting Watson Outlet. from RM242 to only RM169? now thats a steal! wow.. that looks like a good local brands. Nice post! your face already looks great, with this products definitely will look greater! Thanks for the tutorial and sharing the benefits of each product. I think I will get a pack for my travel. Your skin look superb! I tried Neesya before and their product is good. your skin has already flawless, envy you, I wanna try the gel foam and the plus one is soap free, but I think this is local brand from Malay, isn't it? i'll get a pack for my travel needs. hydration is definitely important to skin glowing! seem a nice skincare! n u have nice skin dear!! Wah, Neesya Brightening Hydration Set's Price are reasonable... It is local products? I heard so much about this brand but have not try them yet. Never know that there is a local brand that brings good result. Will try it someday after see all your lovely photos. You skin looks great! I think I would definitely try out this routine. Lovely products and your skin looks rejuvenated and bright. Never heard of this before. Cool! Will check it out soon! I using Neesya one year ago and personaly think this product good and suitable for any dkin type.